If you’re like me, you probably head into each new year with a long list of habits you swear you’re going to break or various self-improvement projects you’re sure you’ll undertake. And maybe you’re one of the few people who actually manages to keep a resolution longer than a month or two. 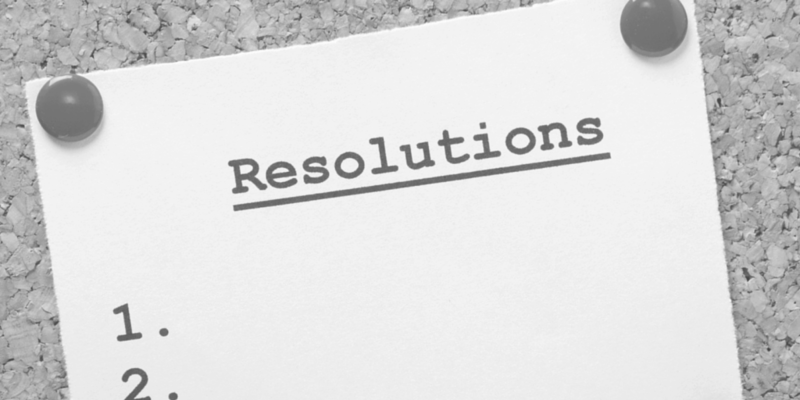 But have you ever set New Year’s resolutions for your restaurant? What would that list include? What could 2016 have in store for your business? Step One: Paint a picture of the future. I don’t mean you should reach for the watercolors – I mean figuratively. Imagine what, in an ideal world, your business would look like one year from today. At the end of 2016, what do you want your restaurant to be like? If you overheard a casual conversation between two of your staff members, what would they be saying about things at work? How would your management team feel about you or about the restaurant? What would guests be telling others about their experiences? What would your personal stress level be like? How much time would you be spending at the restaurant? Where would you want your profits to be? Describe what you envision for your staff, your customers and yourself – and actually write it down. At this stage in the game, don’t start limiting yourself, thinking, “We can’t…” or “That’s not going to happen…” Instead, give yourself permission to dream big. If it feels like a single year is not enough time to accomplish the kind of radical transformation you’re imagining, feel free to look three years down the road – or more! The point is simply to visualize in your mind the ideal future for your restaurant. Step Two: Look at today’s reality. This step should be a quick and easy one. Consider what the reality of your current situation looks like in contrast to what you imagined for the future. How do your employees and customers feel currently? If you need to, ask a couple of your top-performers to give their honest evaluation of things. Read some guest reviews online. What do your family members have to say about how much time you spend at work? Be honest with yourself: how’s your mental or physical health these days? In the areas that matter most to you – the ones you mentioned in your ideal future – identify what’s going great and what’s, well, less than stellar. Step Three: Close the gap. So you’ve painted a picture of where you want to be a year from now, and you’ve got a clear understanding of where you’re at today. All that’s left is to map out the steps to get there. Maybe that seems easy or maybe it’s totally daunting. Either way, consider what you and your team need to stop, start or continue doing in order to move from point A to point B. These become your restaurant resolutions! This is the point where you can start thinking through implications or possible roadblocks or any of the other nitty gritty challenges that might be standing in the way of that awesome future state. Make three columns for yourself and label them: START, STOP and CONTINUE. Don’t get too bogged down or overwhelmed, but try to come up with one or two ideas for each column. If, on the other hand, you find it easy to come up with a million items, great! Get them all down on paper, but then narrow the focus to a few key points. In this case, less is probably more. It’s better to have a short list of things you’ll actually do, rather than a whole bunch of brilliant ideas that go nowhere. Invest in leadership training for you or your managers. Maybe your future state has you being a better boss or having a well-equipped team of leaders caring for your restaurant and staff. It could be as simple as following a few blogs, picking up some leadership books in an area where you could use some help, or signing up for regular email insights from a business guru. Or there are some great online video training opportunities (many – like this favorite of mine from Cy Wakeman – offer special deals and discounts around the holiday season). Identify younger staff or managers who you feel have potential to grow in their roles or eventually take on greater responsibility at your restaurant, and reward them with a learning opportunity. When you were imagining what the you of 2016 would look like, I bet you didn’t picture yourself burned out and overworked. Like we discussed in a recent blog post, when you’re working 50- to 60-hour (or more!) weeks, not only do you become less productive and your decision-making ability starts to suffer, but so does almost every area of your life. So what can you do to turn that around? Maybe 2016 is the year where you’ll finally start to put that gym membership to good use, or give mindfulness or other self-care practices a try (I’m a big fan of the “Just One Thing” email newsletter from Dr. Rick Hanson). It’s like they say on those airline safety videos, you’ve got to take care of yourself before helping others. There are tons of tools out there that can help you out in various ways. 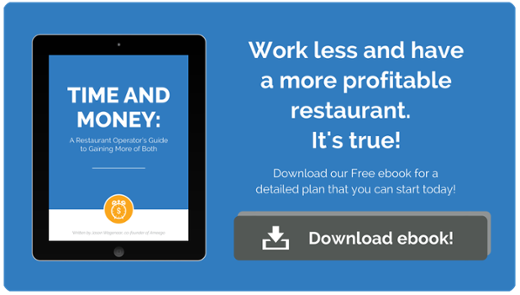 This year, consider a bringing technology to your restaurant to help achieve your vision. Perhaps you pictured a future where you’re regularly responding to comments and engaging with customers on social media; social monitoring and publishing tools can help with that. Or maybe you want to streamline part of the guest experience; tabletop touchscreens, mobile ordering or payment tools, or online reservation services might be a good fit for you. Technology can also help you with some of your “stop” resolutions… like stop wasting time on restaurant scheduling. Whether it’s stressing about being over or understaffed, frantically trying to fill in a gap at the last minute, or juggling requests and inquiries from your employees – a scheduling management solution like Ameego can help you get organized, become more efficient, and boost profitability. It’s an easy way to help close the gap between where you are and where you want to be in a year from now. So why is this any different than a typical resolution-making process? Well, let’s face it: there are a probably a ton of things you could do this year that would have a positive impact on your restaurant. But if you try to do ‘em all, you’re bound to fail. By first focusing on the end point and setting a clear vision for yourself, you should be able to identify priorities and ensure you’re moving toward exactly what you want. And as opposed to just a list of more and more things to do, you should also have a few things you and your team can stop doing as well. By looking at what is good about your current situation (your continue list), you can make sure you don’t try to change too much or risk losing what’s already working well. Hopefully, that picture in your mind of what the future will look like, along with a realistic number of resolutions to help you get there, will keep the momentum going throughout the year – so that you can successfully achieve those resolutions!